Many email programmers prevent this by using inline style attributes in their HTML code instead of style blocks on top of the message. SMTPeter can do this automatically. There are a couple of ways to enable this feature, depending on whether you use the REST API or the SMTP API to inject emails into the SMTPeter service. It is also wise to link to a webversion for users that are having trouble viewing the mail in their client. There are two ways to enable SMTPeter's inline CSS feature when using the SMTP API. The first one is to go to the SMTPeter dashboard and create a new SMTP login that has this feature enabled. As you know, the SMTP protocol does not easily allow to pass parameters with each message. To overcome this, we allow you to create many different SMTP logins, each one with different features enabled. If you want to automatically inlinize CSS, you just have to create a login with this feature enabled, and use that login for your messages. 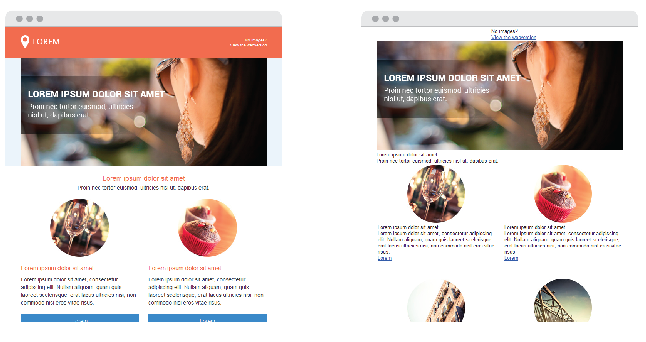 Alternatively, if you are in a position to change the MIME header of the email messages, you can also enable the CSS inlinizer by adding a special MIME header variable. If this header line is present in the mail, SMTPeter will also transform the CSS code into style attributes. The MIME header will be stripped from the mail when the mail is sent to the final recipient. If you use the REST API to send emails through SMTPeter you can add the "inlinecss" parameter to your POST variables or your JSON input. This tells SMTPeter to enable the inlinizer. In the above example we've used JSON to format the entire email. You can of course also submit regular POST data via the REST API.